IFS is a family of companies dedicated to bringing care and financial security to individuals and families who have experienced a personal injury. Our companies employ the most experienced and thoughtful people, armed with the latest products and technology, to provide our clients with the best settlement results. Arcadia helps resolve conflicts, reduce litigation expenses and create long-term financial security for people involved in personal injury claims. 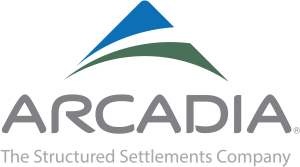 The first structured settlements firm in the world and the largest IFS company, Arcadia has 160 experienced settlement professionals across the country who are employees of the firm rather than independent contractors, which allows for greater quality control, consistency and a stronger team commitment to our client’s needs. Structured Financial Associates is one of the largest firms in the country with more than 70 consultants. Represented by a group of highly credentialed professionals from widely varying backgrounds, SFA has a tremendous amount of experience in assisting the settling of claims. 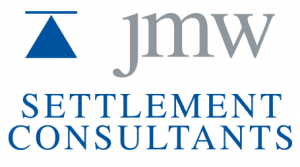 JMW Settlements is a national settlement planning firm headquartered in Washington, D.C. and committed to crafting durable financial settlements for personal injury claims and litigation. Whether retained by plaintiff, defense, or fiduciary, our mission remains unchanged across three decades: maximize available value at settlement to help foster full and final resolution of the claim. Structures is a leading innovator and manufacturer of cutting-edge settlement solutions for plaintiffs and their legal counsel. The flexibility of these programs allows clients to utilize them in many different areas such as non-qualified attorney fees, installment sale transactions, employment litigation, environmental litigation, and celebrity endorsements.